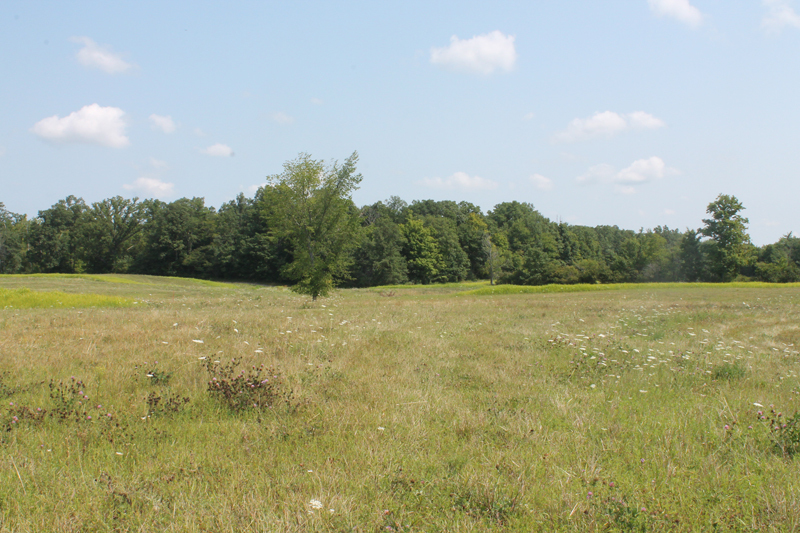 on 150 acres of mixed terrain - CONDITIONS are PRIME!! 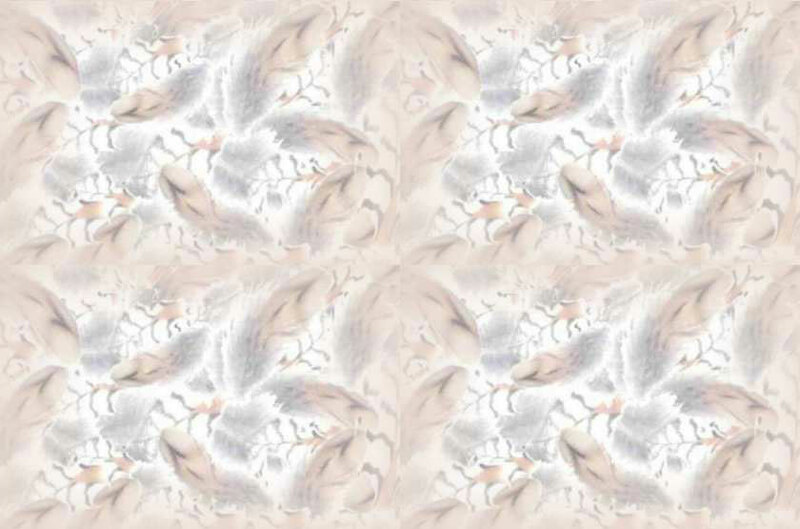 Book your special event for this Winter Spring Season! 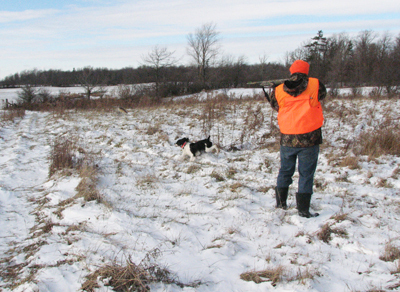 NOTE: A Valid Ontario Hunting License, PAL and OFAH membership or extended insurance is required for EACH hunter. 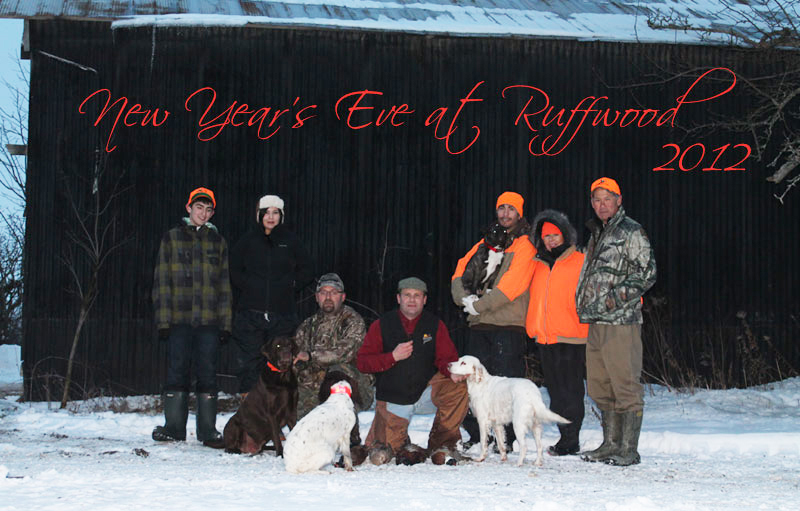 NOTE: GIFT CERTIFICATES AVAILABLE YEAR ROUND for HUNTS and PHEASANT EMBROIDERED CLOTHING. 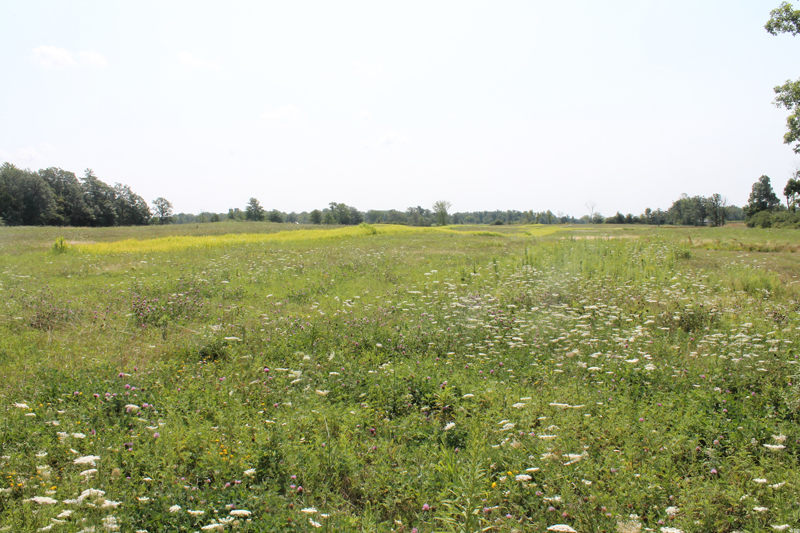 Our pond was dug this fall at Ruffwood Game Farm near Cayuga, Ontario. Great for water work for dog training! 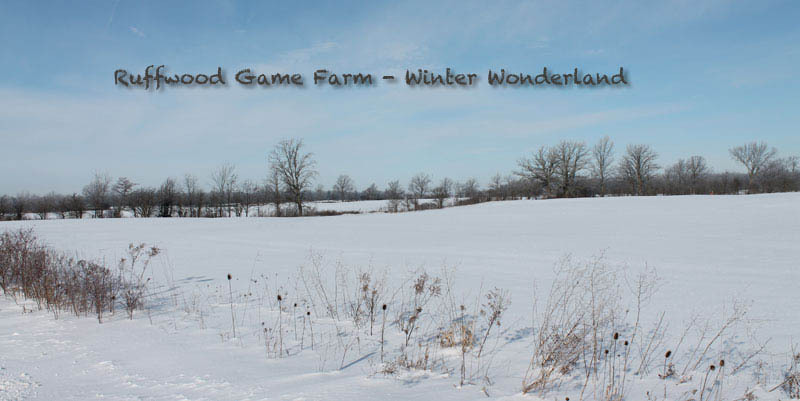 The snow hasn't stopped many people from coming out to Ruffwood Game Farm near Cayuga, Ontario. Great times! 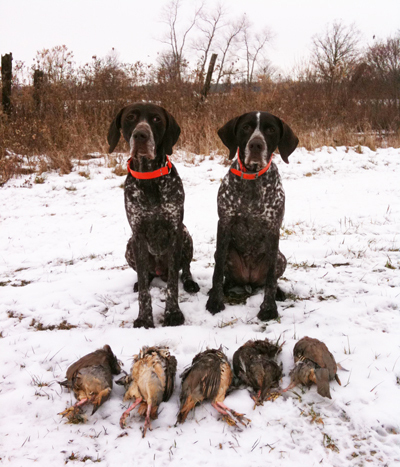 Whether you own a pointing dog or a flushing dog, and whether it is for personal hunting, field dog tests, and field trials, we make every effort to make your hunt or training session an enjoyable and challenging experience. 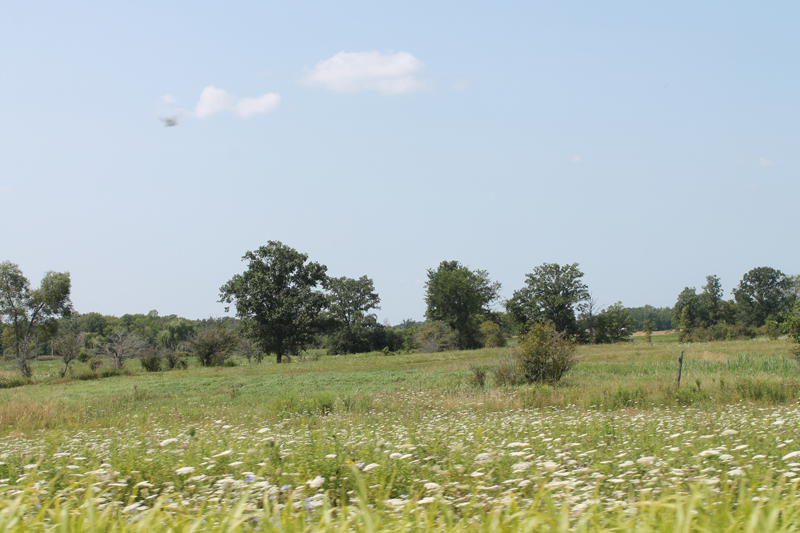 We offer a variety of cover on the Game Farm, and we are pleased to work with you and your dog in a Training Hunt, or let you have the full experience of a game bird hunt! 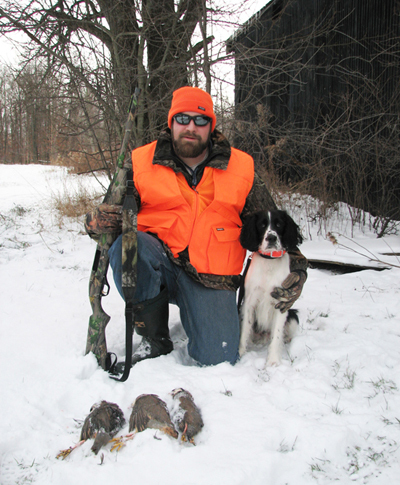 Even if you don't own a hunting dog, we are pleased to offer our guiding services with one of our own personal Brittany Spaniels that are professionally trained, and point with style and intensity. 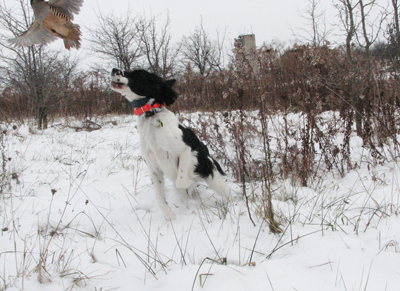 ONE HUNT - 10:00 am DAILY. About Us: We are Life Members of CKC, which is 30 years of continuous membership, and members in good standings. 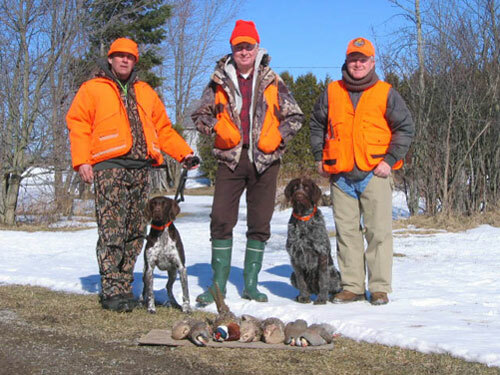 We are also founding members of the Brittany Spaniel Club of Ontario in the late 1970s, and founding members of the Brittany Spaniel Club of Canada in 1988 and the Ontario All Pointing Breed Field Dog Club. 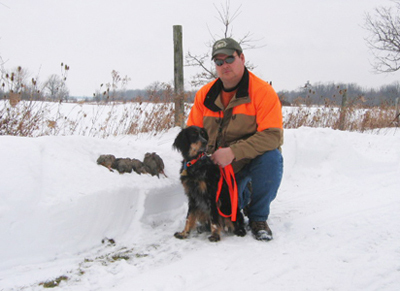 Mike is the CKC Western Ontario Pointing Breed Representative to Council, and we are both CKC and AKC approved Field Trial and Field Test judges.